, making it easier to get started when creating a Google site. We've enjoyed watching the gallery grow. We have been particularly impressed by some of the recent templates created by Over the Top Marketing, including the Mom's club, travel journal, wine club, PTA, daycare center, bible study, and home project site templates. 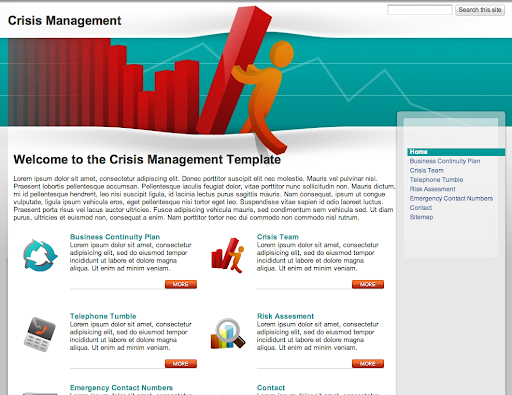 SADA Systems has also created some great templates to help businesses get started on common sites, including project tracking workspace, client engagement, crisis management, team site, training, extranet, and intranet site templates. 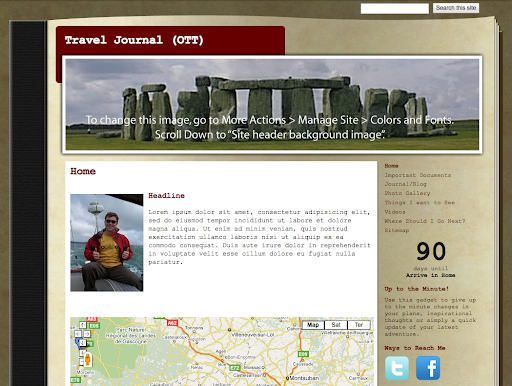 To get started with a new site click on the "use this template" button in the header of any template, or browse our gallery for more templates at sites.google.com. 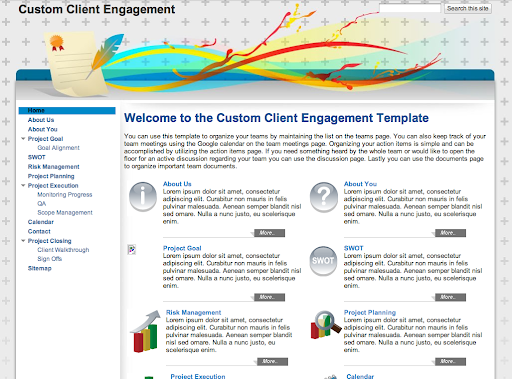 In November, we launched site templates, making it easier to get started when creating a Google site. We've enjoyed watching the gallery grow. 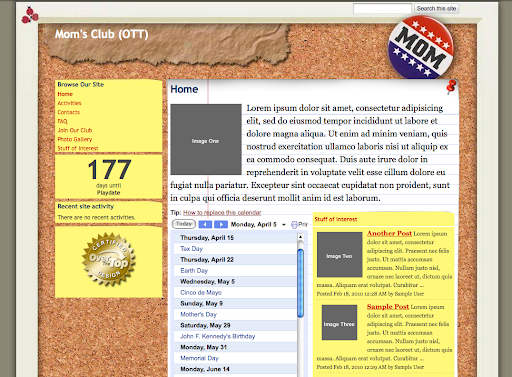 We have been particularly impressed by some of the recent templates created by Over the Top Marketing, including the Mom's club, travel journal, wine club, PTA, daycare center, bible study, and home project site templates.